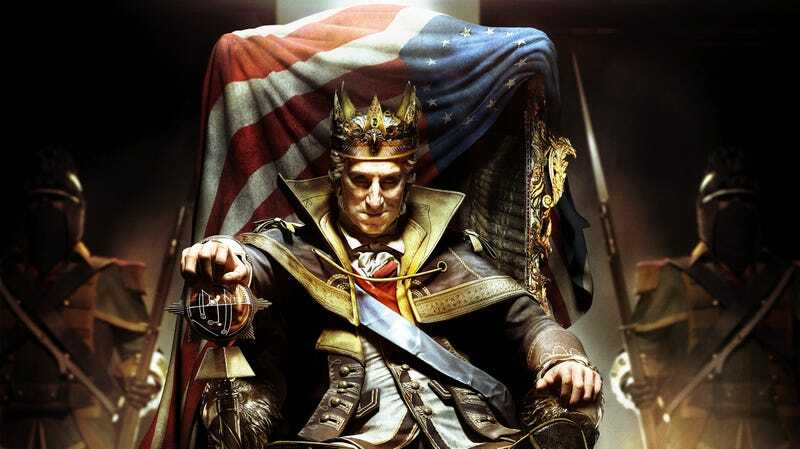 In a twist from previous Assassin's Creed post-release plans, the creators of Assassin's Creed III are going to let players download what seems like a massive alternate-history expansion to the game's campaign. As the revolution comes to a close, a new and most unexpected enemy emerges. Driven by the desire to secure the fate of the colonies, the greatest hero of the revolution, George Washington, succumbs to the temptation of infinite power. The new King is born and his reign leaves no one untouched. To return freedom to the land our new hero must dethrone a tyrant he once called friend. The King George campaign can be purchased without buying the Season Pass, but Ubisoft is promising that the pass will net you five pieces of DLC (including new multiplayer content) at a 25% discount and give users one-week-early access to the first DLC pack. The Pass will be purchasable for the Xbox 360, PS3 and PC versions of the game. The Wii U version of the game will also support all ACIII DLC, but it doesn't seem like the Season Pass will be offered for it, at least not at this time. Assassin's Creed III will be out on October 30 for PS3 and 360. It will be out for Wii U on November 18 and on PC on November 20.